I just got in their website. They don't show or talk about any gains. I'll be interested to see if and when you put it on a dyno. wow you paid 450$ for that? holy crap. getting air in the 156 is not the problem. Even wiestec still uses the row airboxes on the stage 3 kits and they arent a restriction. ever notice how some 5000$ renntech throttle bodies gain a whopping 10hp? money is much better spent else where but thanks for sharing. I had no idea these existed. Nice job! 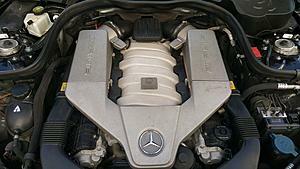 I have the kit on my CL55 and E63 biturbo as well. The big 6.2Litre N/A motor makes same power range and needs a lot of air. 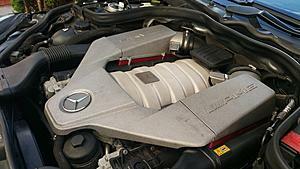 All the AMG air boxes are restrictive and the more mods , the more power gains from air improvements. Adding a larger throttle body would not help more much, as the inlet air is still restricted, until you add the air induction kit. Independent dynos from members showed 23 to 35 plus hp gains over stock air filter and 18 hp gains over car with K&N filters in already. Good , easy bang for the buck. I have a base line dyno of my car and going for another pull next week.I made 400whp uncorrected on a dynojet with just row air boxes and stock tune.I have a p31 development car.IV added k&NS and going for another dyno to see what they give and then another with renntech tuning. If this makes even half of the claimed power, I'll eat the sneaker I'm wearing and upload the video to this thread. Dont the row boxes flow more than enough even for a weistec/whipple blower? If the stock boxes stick into the airflow as shown, I would expect that these spacers would have the potential to open up more power. No doubt you can make HUGE power even with restrictive regions of airflow, but if you relieve that obstruction you can potentially make more power. The ROW boxes obviously flow enough to make supercharged power (even the stock boxes), but that doesn't mean that with spacers that they could flow better. Looking at the ROW boxes versus stock, I think repositioning the filters would offer similar improvements. haha, i was trying to say that the more politically correct way. You really made me laugh there haha! The snake oil will no doubt help you swallow the sneaker. Looks like a few people have never looked at a stock row box inlet restriction. Below is a typical AMG air box and filter set up on the lnlet side. 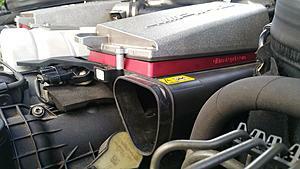 Next, take a look at your oem filter after 10k milea and you will see only about 60% of it can get air flow. 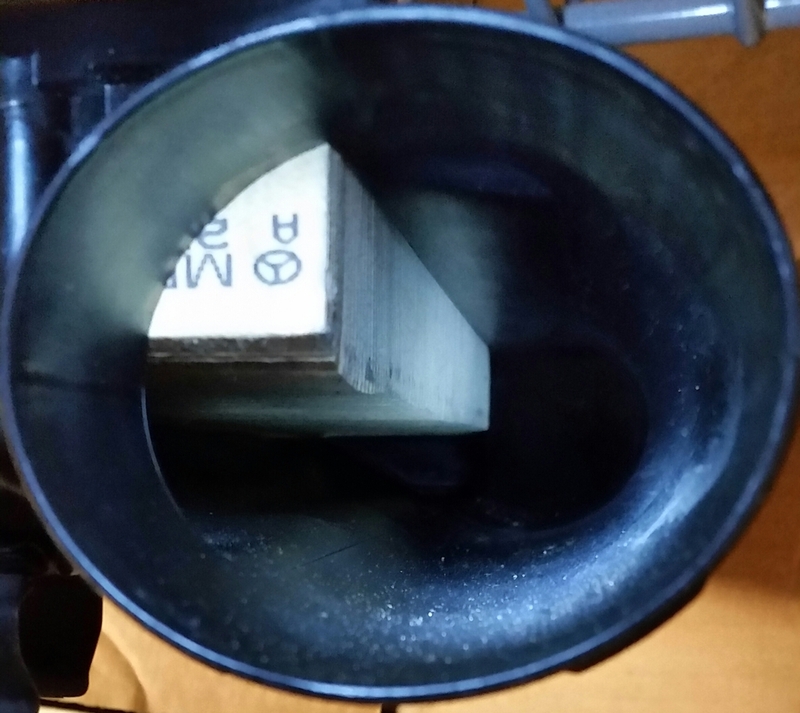 I think most of us here are pretty familiar with the airboxes, and can figure out that raising the filter by a quarter inch isn't going to do anything. The air is still getting sucked from the same place through from the back of the same panel-type filter with the same surface area. 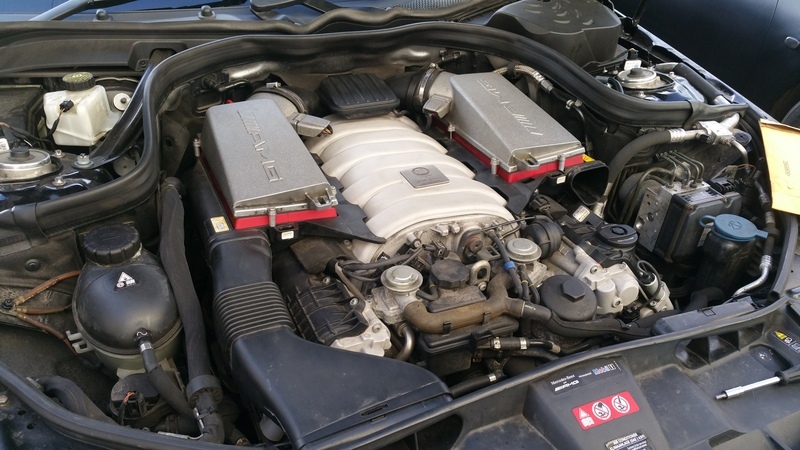 For it to be claimed that "Independent dynos from members showed 23 to 35 plus hp gains over stock air filter and 18 hp gains over car with K&N filters in already. Good , easy bang for the buck." is just an outright insult to our intelligence. Last edited by BLKROKT; 04-27-2016 at 12:24 PM. I am skeptical, but the only proof will be before and after (with and without) dynos. From my experience with flow and obstructions, it is conceivable that there would be some gains. Sometimes the most obvious bottlenecks in any process are overlooked. There is a slight chance that I will dyno my car soon and 'retune' at Eurocharged London. I guess we have a 'before' figure for this UPD intake (488hp crank - let's not even begin to discuss that part...) so anything that the dyno shows would be a fair result. The guys did say that they'd be happy to have my car on the dyno again after a few weeks once I've put a couple hundred miles on the cams, so I'll give them a call and see when they can fit me in for that. Last edited by Celicasaur; 04-28-2016 at 04:17 AM. Totally agree with you, OP can't wait to see the results. Last edited by shardul; 08-17-2016 at 04:52 PM. 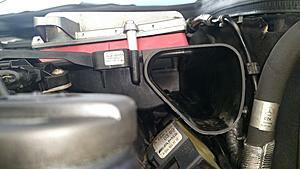 ^ Is this with the ROW Airboxes? Or with the UPD Intake Spacer? Last edited by PACougar; 08-17-2016 at 05:28 PM.